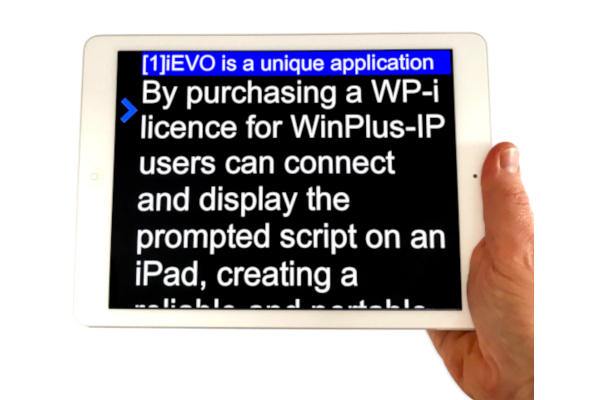 By purchasing a WP-i licence for WinPlus-IP users can connect and display the prompted script on an iPad, creating a reliable, portable monitor for operators and talent. 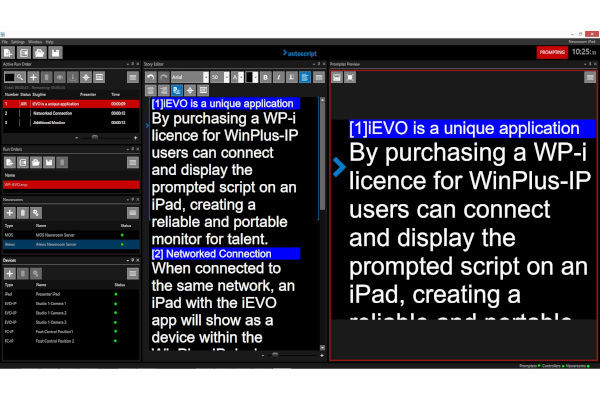 When connected to the same network an iPad with the iEVO app (available free of charge from the Apple App Store) will show as a device within the WinPlus-IP device manager. 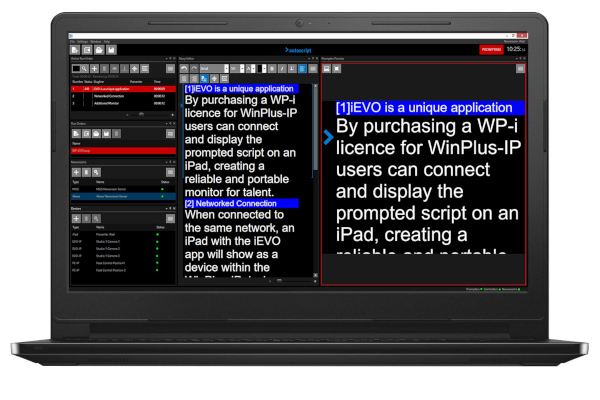 Once activated it will receive the prompting data from WinPlus-IP over Wi-Fi or wired Ethernet adaptor, enabling the script to be rendered in the iPad so that it becomes an additional monitor. 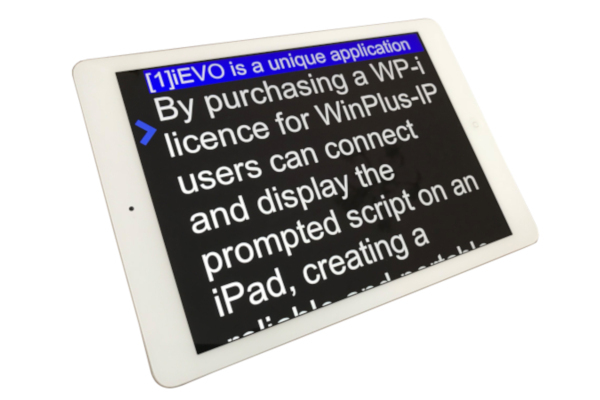 This offers a unique and flexible solution for iPad prompting, controlled like a standard on-camera unit.